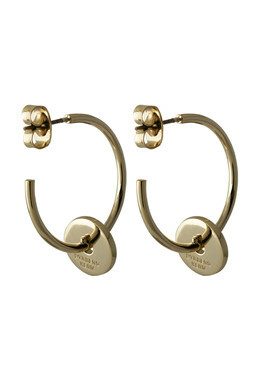 The studded hoop earring as we know it - but with a twist! 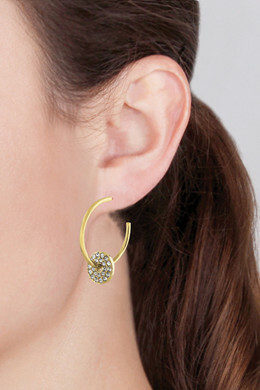 The crystal adorned disc, finishes the look beautifully. 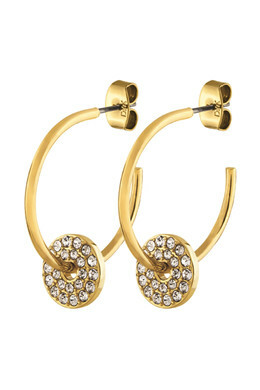 Shown here in a gold toned finish with clear, facet cut crystals.